It is expected that electrical appliances will eventually need a fair deal of maintenance throughout their life-cycle, depending upon how often they are used; air conditioning is a good example of this. Understanding your electrical and air conditioning needs before you make an investment in a new air conditioner is advised, as is having a good electrical service on-hand when you need them. An air conditioner is an investment because it will stay with you and your family for many years, if it is maintained properly. The only reason most people neglect regularly maintaining their air conditioning units is the expectation that it will cost ‘too much’. Actually, regular maintenance and checkup service is available, and it’s affordable enough to fit into your budget. Right from the start, before you purchase an air conditioning unit, you should have a budget worked out that includes the operating costs and yearly maintenance service factored in. In this way, you don’t end up paying more than you should, or expect to pay, as time goes by. Bay Air Electrics offers some helpful tips for those who need to work within their budget. While most sellers of air conditioning are mainly interested in offering products that bring in more commission, Bay Air Electrics considers the customer’s requirements first, before recommending a solution. Depending on the domestic or commercial needs, we suggest products and services that will save you money from maintenance costs over a long period of time, rather than just saving you money off the price of a new air conditioning unit. How does usual air conditioning buying cycle work? You go to a store, pay for the product, and then pay for the installation. After that, you may have to call an air conditioning and electric service separately for maintenance and repair issues. Fortunately, Bay Air Electrics is not like that, we are a one-stop-shop that fixes everything – electrical and air conditioning needs. All you have to do is call. Over the life cycle of a typical air conditioner, you might end up spending a lot of money on repairs and maintenance. 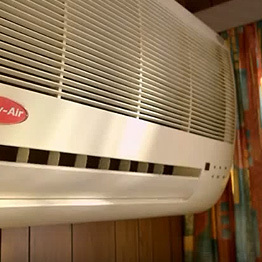 However, services from Bay Air Electrics include a six year guarantee on every installation, which equals huge savings over buying an air conditioner at a warehouse depot that does not offer any maintenance or repair service, or any guarantee. No other company can handle your electric and air conditioning needs better than Bay Air Electrics, and we make it easy for you to get an online quote for our services, or you can send us an email, or call to make an inquiry.